KCON, an annual event for K-pop fans across the world, will take place on the biggest scale ever, with its New York City leg set for the global landmark that is Madison Square Garden. The venue, which opened in 1968, has hosted a slew of high-profile events including sports games and concerts by the likes of Michael Jackson and Madonna. The two-day KCON 2019 NY convention will take place at the Jacob K. Javits Convention Center and feature influencers in music, beauty and fashion from both countries. Starting with events in Tokyo in May, this year’s KCON will run in New York and Los Angeles in July and August, respectively, before it reaches Bangkok in September. 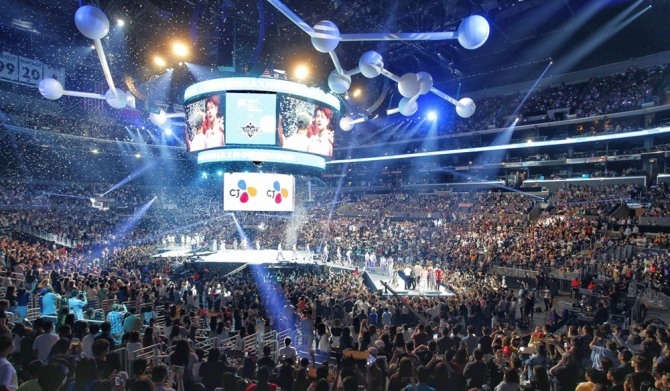 KCON LA, which attracted nearly 94,000 eventgoers in 2018, has been extended to four days this year at the LA Staples Center, while this year’s KCON Thailand will be held on twice the scale of last year’s. During this year’s conventions, which take place alongside K-pop concerts, a number of separate events are in store to attract local fans including beauty-themed “KCON Girls” and “KCON Rookies,” a showcase for up-and-coming K-pop artists. According to organizer CJ ENM, the number of attendees is expected to surpass 1 million this year. The music event first took place in California in 2012. Since then it has grown into a global festival encompassing K-pop, beauty, fashion, TV and lifestyles.